German utility E.ON today announced its cooperation with Daidalos Capital portfolio company and Airborne Wind Energy technology leader Ampyx Power in a multimillion Euro transaction. This cooperation is a major step towards the development of the first technology that can tap a new resource of clean and sustainable energy: high altitude winds. Making high-altitude winds economically accessible will be a game changer for the goal of 100% renewable energy supply. Ampyx Power and E.ON have entered into a cooperation aiming at furthering Ampyx Power’s Airborne Wind Energy technology into commercial deployment. As part of the cooperation E.ON has committed to development and, if successful, construction and operation of a demonstration site for Airborne Wind Energy concepts in County Mayo, Ireland. The test site will be used by Ampyx Power for testing, verification and demonstration of continuous operation of Ampyx Power’s fully functional technology demonstrator, and its subsequent 2 MW Airborne Wind Energy System (AWES). Ampyx Power’s 2 MW AWES will be tailored to repower the first generation offshore wind parks once the service life has come to an end. The testing at the E.ON test site is an important stepping stone towards subsequent offshore demonstration and eventually commercial deployment of Ampyx Power’s AWES and follow-up products. Ampyx Power is currently conducting a crowd financing campaign to finance the construction of the prototype that will be deployed at the E.ON test site in 2018. E.ON is a frontrunner and early adopter in the Airborne Wind Energy field. Frank Meyer, SVP B2C Solution Management and Innovation at E.ON says: “E.ON has been looking into Airborne Wind technologies for five years and we believe it has true game changing potential. It supports one of our overall targets to drive down cost of renewable energy, and also allowing production of renewable energy at locations where it is currently not economical and technical feasible today. While in principle we are technology agnostic, we consider this cooperation with Ampyx Power a major step in our efforts to take a leading role in furthering the promising emerging Airborne Wind Energy sector.” According to German Newspaper Handelsblatt, E.ON invests several million into this cooperation with Ampyx Power. The cooperation between E.ON and Ampyx Power shows that the energy market is now taking Airborne Wind Energy very seriously. This follows E.ON’s first step into Airborne Wind Energy in December 2016 when they invested into Kite Power Systems (KPS). It looks like E.ON wants to make a clear statement and to claim a large stake in this technology. While all major European utilities have been closely following Airborne Wind Energy in the past years, this double strike by one of Europe’s leading utilities will certainly act as a wake-up call for other utilities, energy companies but also producers of conventional wind turbines. It proves that the promises of Airborne Wind Energy – harvesting the much more powerful and consistent winds in higher altitudes of up to 500 meters with much lighter and eventually cheaper flying high-tech devices – are not only valid in theory but will be used to produce energy in large scale within a few years. 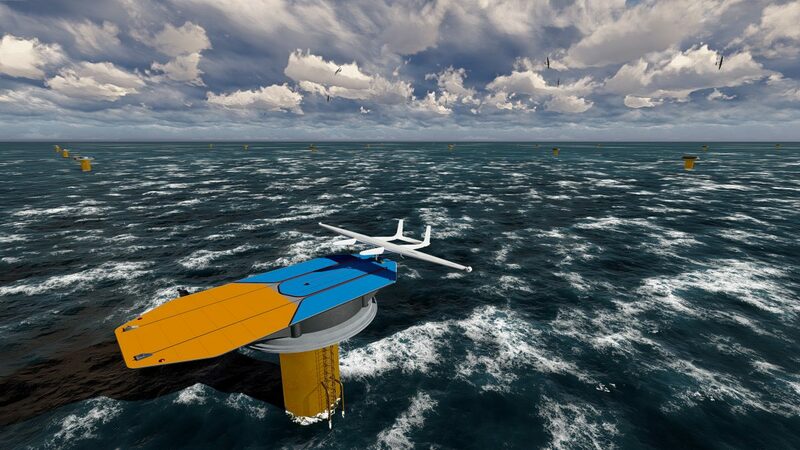 The Airborne Wind Energy industry has left the proof of concept stage. Now it is beginning to build large scale products and does this with the full financial and technical support of some of the largest players in the energy world.